Connect your Cisco® SX Series video systems to the Cloud Video Gateway and have borderless video meetings with external parties. 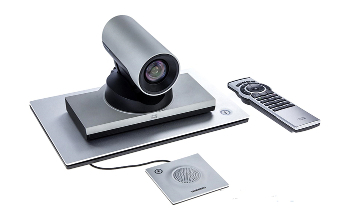 VEEDEEO enables you to easily connect your CISCO® video conferencing systems to the cloud and unleash the full potential of your video rooms to have simple point-to-point video calls or multipoint video meetings with anyone in the world. By registering your video systems in the VEEDEEO cloud you don't need any other intermediate hardware or infrastructure to have internal and external video calls, reducing complexity and infrastructure costs. This guide covers Cisco® SX Series video conferencing systems, models SX10, SX20 and SX80. 1 Set the Default Call Protocol > Conference 1 > Default Call > Protocol = SIP or H323 Do not leave the Defautl Call Protocol in "auto"
5 Change Default Transport Protocol to TCP or TLS > SIP > Profile 1 > Default Transport = TCP or TLS Do not leave the Default Transport Protocol in "auto"
Need help configuring your equipments? Contact our support team to help you configure your video conferencing systems and troubleshoot connectivity issues.